Notice that last one – discounted loot packs. That means that no matter what play mode you prefer, you’ll be able to participate in The Lootpocalypse. It’s time to stop hoarding those Credits and start rolling in the loot! We’ll be discounting Rare and Epic Loot Packs by 25% and Faction Loot Packs (with skins, taunts, and faction based gear) by a whopping 50%! The Battleborn Lootpocalypse will run from tomorrow (Friday, July 15th) at 8am PT until Monday, July 25th at 8am PT. Also this week, we’re excited to announce the next bit of content for our Season Pass players – two exclusive skins! 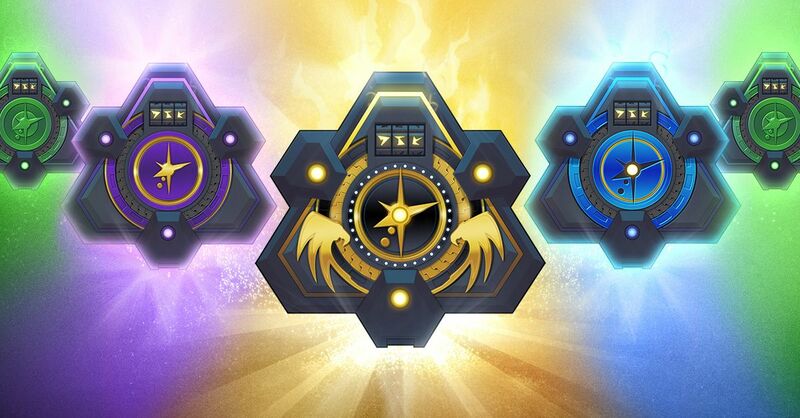 Starting today, Season Pass owners should begin seeing two new skins in their Command Menu – Toby’s “You Gotta Speak Up, Little Guy” (cyber) and Alani’s “Thermocline” (gold) skins. We’re looking forward to continuing to bring even more content to Season Pass holders over the course of the summer. If you want to catch up on our vision for add-on content, check out our roadmap post on the Battleborn blog. This week, we have a few very small tweaks to gear that have been made via hot fix. As always, these changes will begin rolling out today (Thursday) at 12pm PT (3pm ET). 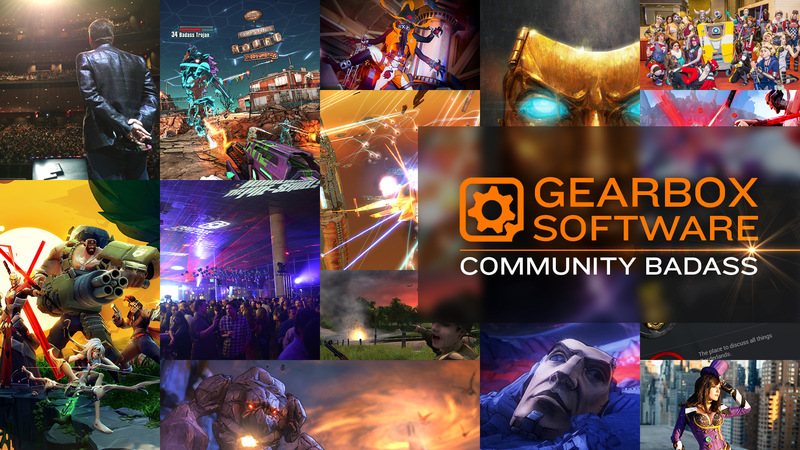 In this week’s Community Spotlight we’ve got a couple cool things to share with you. First, we’re celebrating our amazing forum moderator, Kitty_Jo as this week’s Community Badass. Kitty_Jo is the second of our forum mods to be featured in the past few weeks. She’s an integral part of our forum community and is a big reason why it’s so great. Whether you’re a long time member of the Gearbox Forums or have never visited, pop over and check out the Community Badass thread featuring Kitty_Jo! If Broadcaster Tools sounds fun to you, then you’re in luck. We’ll be showing off Broadcaster Tools for the very first time TODAY on the Gearbox Software Twitch channel (and on three new multiplayer maps, no less)! 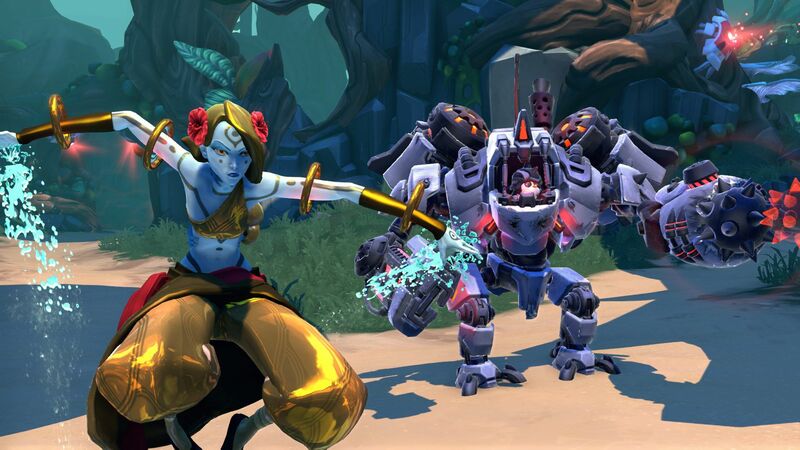 Two teams of Gearbox Software developers will go head-to-head in three exhibition matches (one for each map) with Battleborn Creative Director, Randy Varnell and Designer, Grant Kao offering some awesome commentary and answering Community questions from the chat. Make sure to catch the stream today at 5pm CT (3pm PT) and bring your questions with you. See you all then! “We've added a new feature to Versus Private: 'Broadcaster Mode'. Versus Private Matches now allow up to two added players to join a new third team, labeled "Spectator". During the match, these players can spectate the battlefield using a set of third-person camera controls to follow players on either team or to move freely around the battlefield. On the PC, keyboard hotkeys allow for quick-jumping to players and to fixed points of interest. Of course, PS4 and Xbox also support Broadcaster Mode, and we think you'll find the camera controls just as easy to use on those platforms.